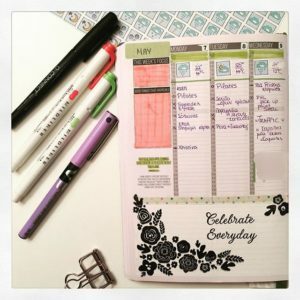 Trying a Passion Planner for everyday journaling! Well, it was a great opportunity, since the weekly planning sometimes took so much of my time, that it became a burden. 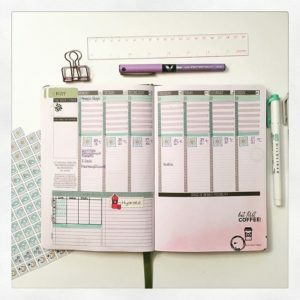 So I decided to try a planner with predefined weekly and monthly layouts. 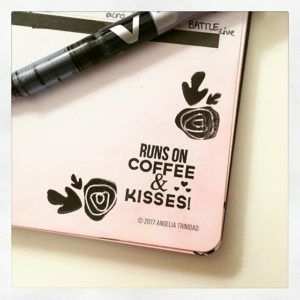 I had bought this undated Passion planner in 2017 and had it only for business purposes. 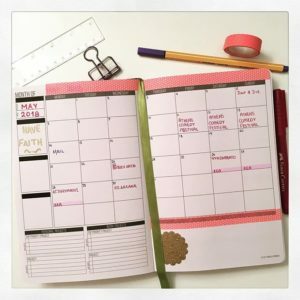 A few weeks and monthly layouts are filled with business campaigns, but there is still plenty room left! So what’s better than to give it a try and see how it goes. It really helped that it was undated. I can complete my own months and weeks! Cool eh? 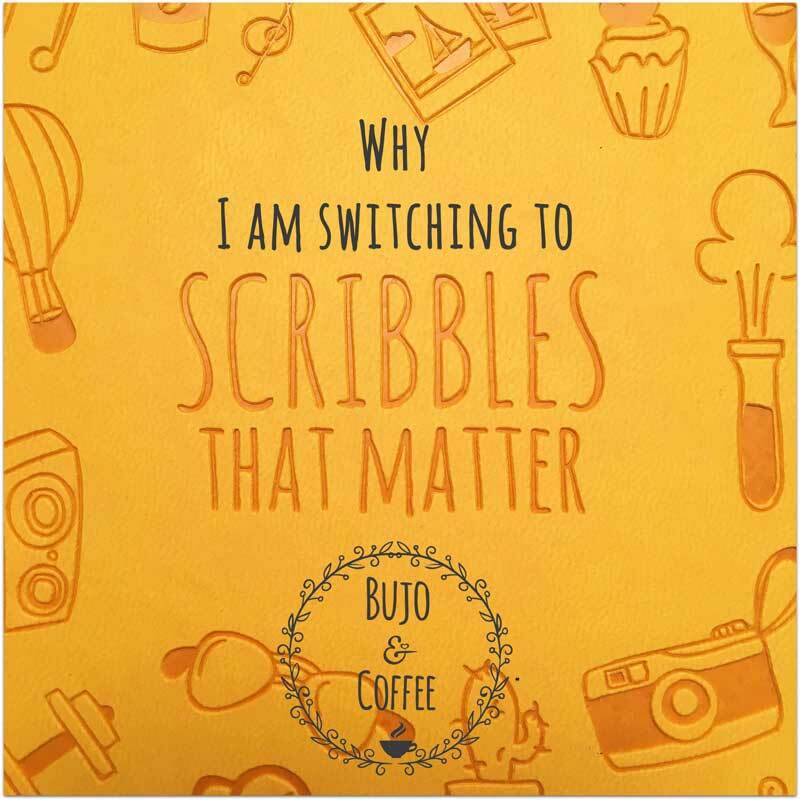 That’s why I decided to give it a try for my personal, everyday journaling. 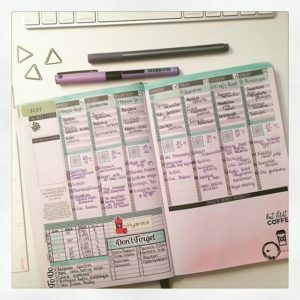 So, let me introduce you to my purple Passion Planner and my first week in it! After some calculation (yeap, I counted them all one-by-one), the weeks left will bring me to the end of the year. But wait a minute. 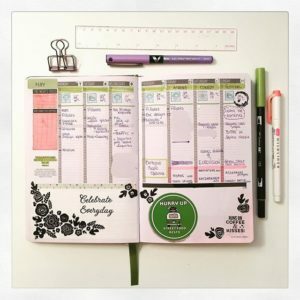 Passion Planner is much more than journaling. Right? Yes! 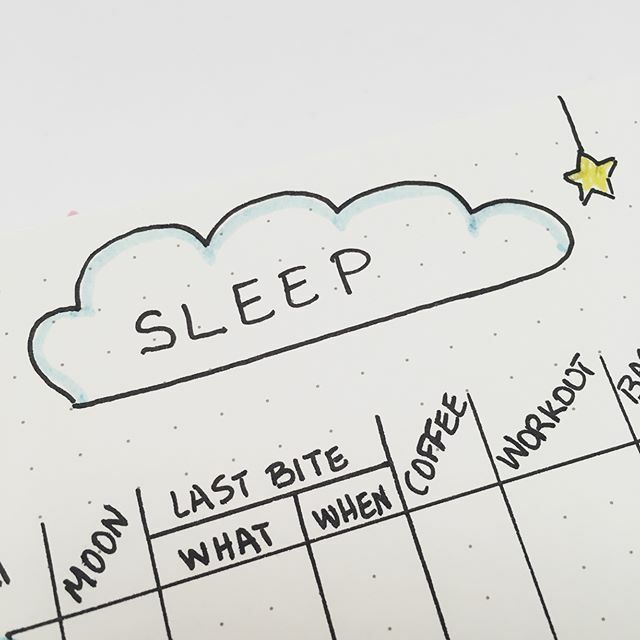 A passion ‘roadmap’ to help you figure out your lifetime, yearly, and three-month goals. 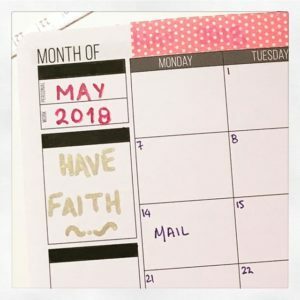 A passion ‘plan’ to help you figure out what actionable steps you can take to achieve those goals. 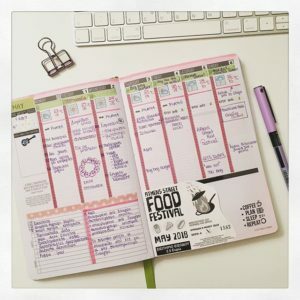 All these predefined: the months in the front of the journal, followed by the monthly reviews and then the weeks… It may be confusing a little bit in the beginning, but you get used to it quickly. Here are some of my layouts so far. 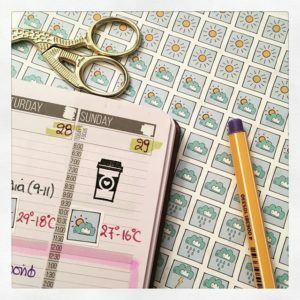 You can see I have brought much of my previous bullet journaling experience: the colours, the weather, the doodles, some stamping, some washi. Well, I like to customize things to my like, so I did the same here. One is for sure: it is not minimal! Now, my biggest constraint so far is the timeline for each day. Never used it before, never much of a fan. Some weeks I tried to use it. Mainly for appointments. But my main issue was the blank space left in between appointments. So, I said, ok let’s not pay any attention to it, and those columns are your to-do lists, appointments, journaling altogether. Did it work? Yes! Because it is very easy to “cover” the timeline and not take it into account. 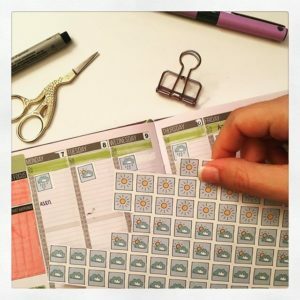 In the Instagram community, I’ve seen many fellow passion-plannists to cover this timeline with washi tape, which is something i will try soon! One month since I started, I really feel I need to make this change this time of my life. I hope I will stick to it! 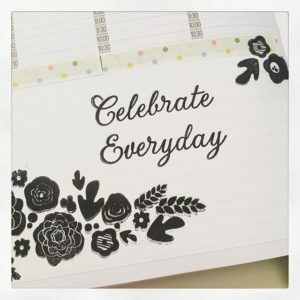 Finally, those little quotes and positive messages/tips for self-growth are so great, they make my day!!! If you are new to it, it can be intimidating: so much information, the roadmaps, the timeline, the evaluation etc. This system can be overwhelming and it gets some time to get used to it. The timeline might be a barrier for some. Also, the height of each line may not be enough, so it can be easily packed. The timeline starts at 6.00 and ends 22.30. This may not be for everyone. 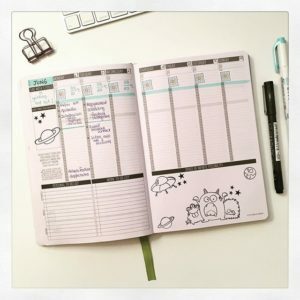 If you come from bullet journaling, you may find there is little space for your tracker needs. 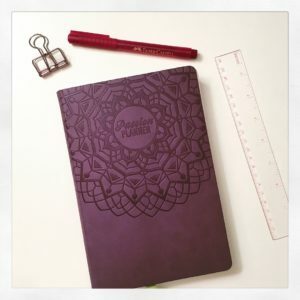 However, the Passion Planner provides many free printables in their website, so as to customize it to your needs! Decent paper quality, of good weight and plain white! Little or no ghosting for most of the inks. Stamp inks work pretty well! Me likey! 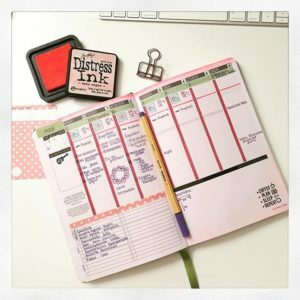 If you need to organise your life, this system may be for you! 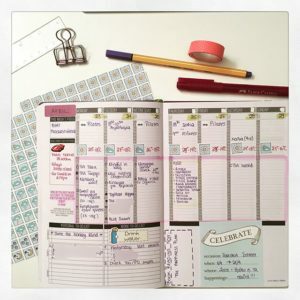 It has all the elements for goal-setting, evaluations, and steps to keep you on track! Are you an appointment freak? 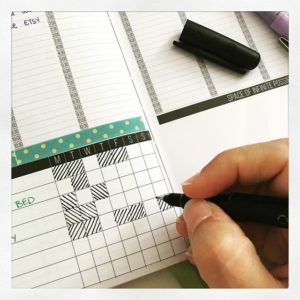 Then this hour-by-hour planning is perfect! The Giving philosophy of the community. Get one, give one is great! So… What do I think so far? 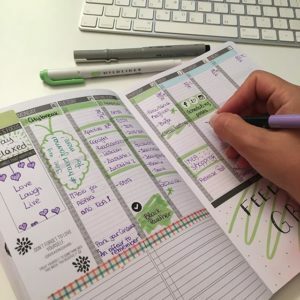 This system is perfect for graduates, for those who have a specific goal (like a wedding planning), for appointment-lovers and those who like pre-defined weekly and monthly layouts. Regarding the roadmap and monthly or yearly evaluations? I will let you know, once I have reached a milestone! So far, I am pretty happy with my choice!